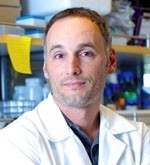 A protein that plays a critical role in preventing the development of many types of human cancers has been shown also to inhibit a vital stem cell property called pluripotency, according to a study by researchers at the Stanford University School of Medicine. Blocking expression of the protein, called retinoblastoma, in mouse cells allowed the researchers to more easily transform them into what are known as induced pluripotent stem cells, or iPS cells. Pluripotent is a term used to describe a cell that is similar to an embryonic stem cell and can become any tissue in the body. The study provides a direct and unexpected molecular link between cancer and stem cell science through retinoblastoma, or Rb, one of the best known of a class of proteins called tumor suppressors. Although Rb has long been known to control the rate of cell division, the researchers found that it also directly binds and inhibits the expression of genes involved in pluripotency. Wernig and Sage, both members of the Stanford Cancer Institute, share senior authorship of the study, published online Nov. 13 in Cell Stem Cell. Postdoctoral scholar Michael Kareta, PhD, is the lead author. Pluripotent stem cells are able to become any tissue in the body. In 2006, researchers in Shinya Yamanaka’s laboratory in Kyoto University found that it’s possible to push a fully specialized adult cell, such as a skin cell, backward along the developmental pathway to assume a pluripotent state. They did so by adding four proteins — Sox2, Oct4, cMyc and Klf4 — that are normally found in cells only very early in embryonic development. The resulting cells were called induced pluripotent stem cells. Rb was first identified as a tumor suppressor because of its role in a rare but rapidly developing childhood cancer of the retina. It has since been shown to be missing or functionally inactive in nearly all human cancers. Intact Rb prevents cancer by acting as a natural brake on the cell cycle, the process by which cells divide to make daughter cells. Loss of Rb allows a cell to divide more quickly and potentially accumulate more cancer-causing mutations. However, the new research shows that Rb’s effect on pluripotency is independent of its role in cell cycle control. Cancerous cells often appear less mature than their noncancerous peers. They persist in dividing in the face of external cues that curb the proliferation of normal cells, and they often seem to regress developmentally, assuming the form and mimicking the behavior of their more developmentally flexible ancestors. A similar cascade of events occurs when researchers create iPS cells from specialized adult cells. Previous studies in other laboratories have suggested that Rb may also be involved in promoting cellular differentiation — a cell’s developmental progression toward a more specialized state. The researchers found that embryonic mouse cells unable to express functional Rb were much more efficiently and quickly converted to iPS cells than were cells in which Rb was present. Conversely, cells with higher-than-normal levels of the Rb protein were more difficult to reprogram into iPS cells. When the researchers compared the rate of division of the control cells with those in which Rb expression was lost, they found no significant differences. “We saw a global effect on a network of genes involved in pluripotency,” said Sage. 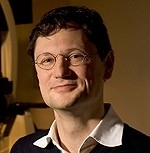 The net effect, according to the researchers, is an overall reduction in the natural barrier that exists to prevent specialized adult cells from dedifferentiating — that is, spontaneously becoming pluripotent, an occurrence that could easily wreak havoc on a multicellular organism that depends on an orderly arrangement of tissues. We saw a global effect on a network of genes involved in pluripotency. The researchers also showed that Rb’s effect on the pluripotency network is an important driver of cancer in a mouse model. Animals in which Rb expression is blocked typically develop pituitary tumors within a few months. However, the researchers found the cancers didn’t occur when Sox2 was also removed. The researchers plan to continue their investigations into the relationship between Rb and pluripotency. In particular, Wernig is interested in learning whether Rb expression plays a role in a phenomenon he discovered called direct conversion, in which one cell type, such as a skin cell, can be directly converted into another, such as a neuron, without first entering a pluripotent state. Other Stanford co-authors are former postdoctoral scholar Laura Gorges, PhD; research assistants Sana Hafeez, Anne-Flore Zmoos and Megan O’Brien; postdoctoral scholars Samuele Marro, PhD, Berenice Benayoun, PhD, and Luis Batista, PhD; graduate students Yi-Han Ng, Damek Spacek and Cheen Euong Ang; data analyst Dedeepya Vaka; Steven Artandi, MD, PhD, professor of medicine and of biochemistry; and Anne Brunet, PhD, associate professor of genetics. The research was supported by the National Cancer Institute (grant CA09151), Spectrum Child Health, the Lucile Packard Foundation for Children’s Health, the California Institute for Regenerative Medicine and the New York Stem Cell Foundation. Information about Stanford’s pathology, genetics and pediatrics departments, which also supported the work, is available at http://pediatrics.stanford.edu, http://genetics.stanford.edu, and http://pathology.stanford.edu.